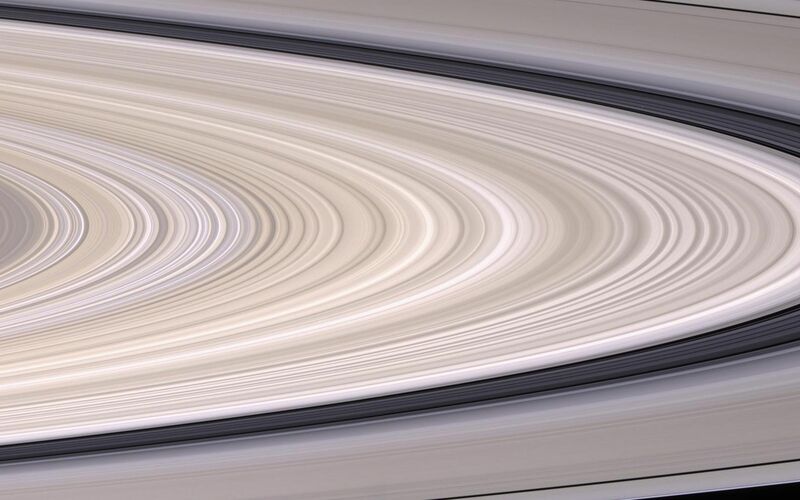 Saturn's most prominent feature, its dazzling ring system, takes center stage in this stunning natural color mosaic which reveals the color and diversity present in this wonder of the solar system. Gaps, gravitational resonances and wave patterns are all present, and the delicate color variations across the system are clearly visible. This mosaic of six images covers a distance of approximately 62,000 kilometers along the ring plane, from a radius of 74,565 kilometers to 136,780 kilometers (46,333 to 84,991 miles) from the planet's center. 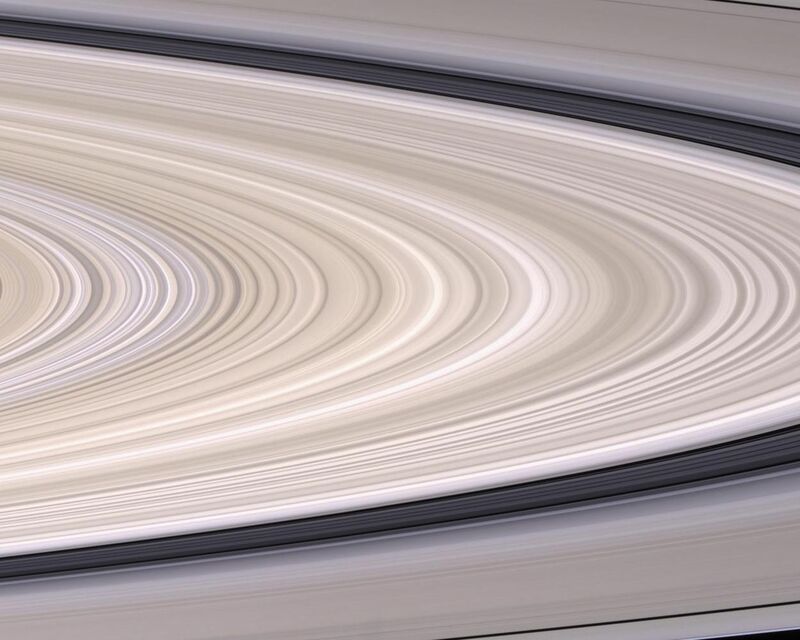 This view is from Cassini's vantage point beneath the ring plane. The rings are tilted away from Cassini at an angle of about 4 degrees. Images taken using red, green and blue spectral filters were used to create this natural color mosaic. The images were acquired using the Cassini spacecraft narrow angle camera on Dec. 12, 2004, at a distance of approximately 1.8 million kilometers (1.1 million miles). The image scale is 10.5 kilometers (6.5 miles) per pixel.